Ships frequently encounter extremes of weather and constantly undergo structural strains and stresses in their daily operation. It is vital that they are designed and built to withstand the marine environment’s very worst environmental and operational trials. Careful life-time care is also crucial to preserve the structure of a vessel. Classification societies are non-governmental organisations that set and apply design and construction rules during construction to ensure that vessels’ structures and their Shipbuilders comply with those rules. On delivery of a ship, classification societies institute a programme of frequent inspections and Surveys during the working lives of ships, to check that their structures remain safe. Many nations have their own classification societies working closely with the flag state of that country. However, the ten leading societies are all members of the London-based International Association of Classification Societies (IACS). 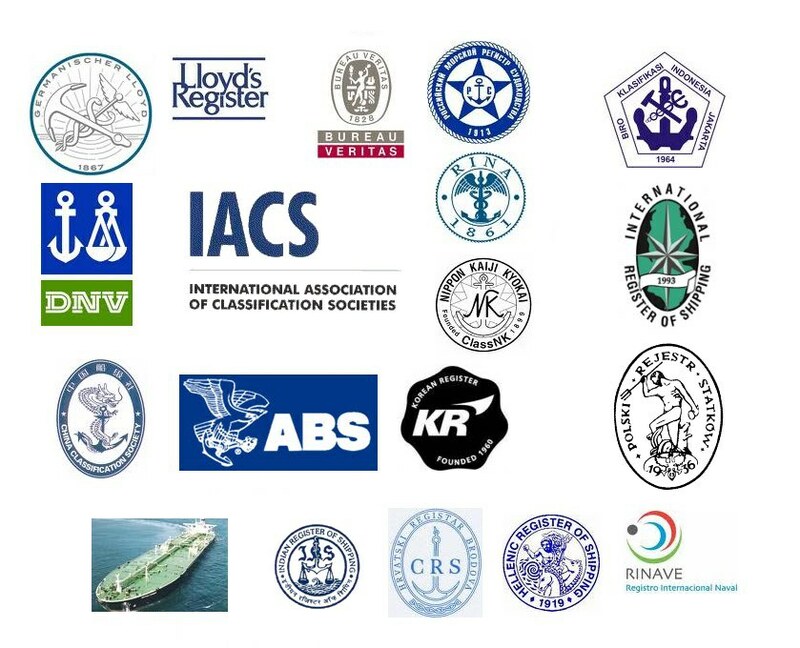 Many Marine Insurance underwriters insist that vessels be classed by an IACS member as a condition of cover. The exact location of a load line marking is calculated and/or verified by a classification society, which then issues a load line certificate. A load line is a marking which indicates the extent to which the weight of a load may safely submerge a ship, by way of a waterline limit.